Wasn’t the Bible Written by Mere Men? The Bible is true because it is from the author of truth. But how can we know? 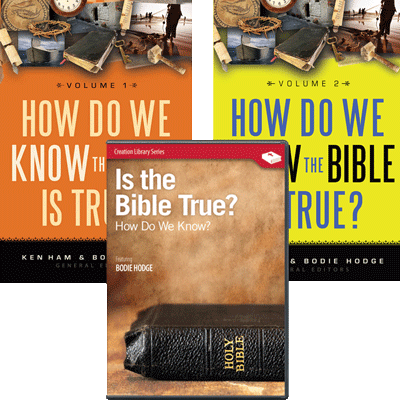 Use these resources to discover why the Bible is true word of God! It truly is a secular age. I had the opportunity to speak to a student-led club at a government school a couple of years ago. At the end of the lecture, I began answering questions the students had. Even though there was a very negative tone coming from many of the questioners, I remained courteous in each response. Most of the questions were common ones and fairly easy to answer. 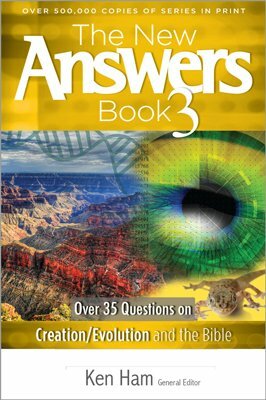 The questions began with issues related to the creation-evolution debate, such as dinosaurs and radiometric dating. 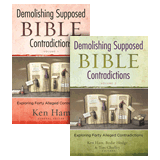 After those were answered, the questions became more impassioned and were directed toward God and the Bible, such as “Who created God?” and “Isn’t the Bible full of contradictions?” At the end, one statement came up that I didn’t get to respond to. The bell rang and out they ran. I really wish they had brought this up sooner so I could have responded to the claim that the Bible was written by mere men. We were getting closer to the heart of the issue. 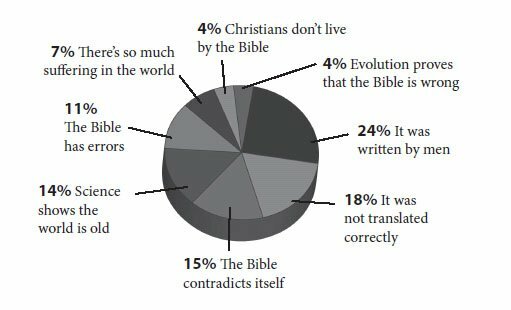 Even though 24 percent directly claimed this, take note that there are related answers such as 11 percent believing the Bible to have errors, which means God could not have been involved since God does not make errors ( Deuteronomy 32:4; Psalm 12:6 ). Also, claiming that the Bible contradicts itself would imply that God was not involved since God cannot deny Himself ( 2 Timothy 2:13 ), and thus contradict Himself. So at least 50 percent would, in one way or another, dispute that a perfect God was responsible for the Bible! When it comes to the authorship of the Bible, of course men were involved—Christians would be the first to point this out. Paul wrote letters to early churches and these became Scripture. David wrote many of the Psalms, Moses wrote the Pentateuch (the first five books of the Bible), and so on. In fact, it is estimated that over 40 different human authors were involved.2 So this is not the real issue. The real issue is whether God had any involvement in the authorship of the Bible. Let’s think about this for a moment. When someone claims that the Bible was written by men and not God, this is an absolute statement that reveals something extraordinary. It reveals that the person saying this is claiming to be transcendent! For a person to validate the claim that God did not inspire the human authors of the Bible means he must be omniscient, omnipresent, and omnipotent! Omniscient: This person is claiming to be an all-knowing authority on the subject of God’s inspiration in order to refute God’s claim that Scripture was inspired by Him ( 2 Timothy 3:16 ). Omnipresent: This person is claiming that he was present, both spiritually and physically, to observe that God had no part in aiding any of the biblical authors as they penned Scripture. Omnipotent: This person is claiming that, had God tried to inspire the biblical authors, they had the power to stop such an action. So the person making the claim that the Bible was merely written by men alone is claiming to be God, since these three attributes belong to God alone. This is a religious issue of humanism versus Christianity. People who make such claims (perhaps unwittingly) are claiming that they are the ultimate authority over God and are trying to convince others that God is subservient to them. As we respond to claims such as these, this needs to be revealed. What Is a Good Response? I like to respond to this claim with a question that reveals this real issue—and there are several ways to do this. For example, referring to omnipresence, you can ask, “Do you really believe that you are omnipresent? The only way for you to make your point that God had no involvement would be if you were omnipresent.” Then point out that this person is claiming to be God when he or she makes the statement that God had no involvement in the Bible. Or, in regard to omnipotence, perhaps ask, “How is it that you are powerful enough to stop God from inspiring the authors?” Or you could direct the question to the rest of the listeners by simply asking, “Since the only way to refute the fact that God inspired the Bible is to use attributes of God such as omnipresence, omnipotence, and omniscience, do the rest of you think this person is God?” You may have to explain it further from this point so the listeners will better understand. 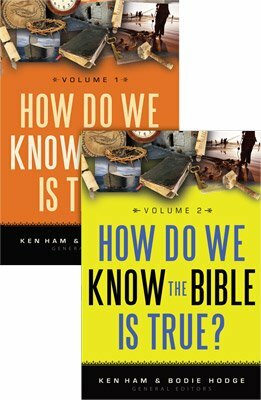 If you are not sure you can remember these types of questions, then remember that you can always lead the person down the path by first asking an easier question such as, “How do you know that God was not involved?” But then you will have to listen carefully to the response to know how to respond after that. Other responses include undercutting the entire position by pointing out that any type of reasoning apart from the Bible is merely arbitrary. Sadly, in today’s society, children, whether churched or not, are being heavily exposed to the religion of humanism. This religion reigns in state schools. So it is logical that the younger generations are thinking in terms of humanism and applying that to their view of the Bible. The student mentioned earlier was applying the religion of humanism (i.e., man, not God, is the authority) to the Bible when he claimed that it was written by men. He viewed himself, and not God, as the authority; and he further reasoned that there is no God at all and therefore the Bible could not have had God’s involvement. Therefore, his statement that the Bible was written by men is merely a religious claim made by a man claiming the attributes of God. It is good to point this out as many people follow this same thought process, failing to realize the implications most of the time. If one can expose the false religion of humanism, then unbelievers may be more open to realizing that they are being deceived. After all, unbelievers are not the enemy; rather, the false principalities and dark powers that are at work to deceive are the enemy ( Ephesians 6:12 ). Previous Chapter Why Did God Make Viruses? Next Chapter Isn’t the God of the Old Testament Harsh, Brutal, and Downright Evil? 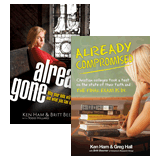 Ken Ham and Britt Beemer, Already Gone (Green Forest, AR: Master Books, 2009), 107. Josh McDowell, A Ready Defense (Nashville, TN: Thomas Nelson Publishers, 1993), 27. Jason Lisle, “Put the Bible Down,” Answers in Genesis, December 5, 2008, www.answersingenesis.org/articles/2008/12/05/feedback-put-the-bible-down. Bodie Hodge, “A Look at the Canon” Answers in Genesis, January 23, 2008, www.answersingenesis.org/articles/aid/v3/n1/look-at-the-canon.